Posted in Cotton, Dairy, International Trade, Livestock, Pork, Row Crops. Posted in Dairy, International Trade, Livestock, Pork. A recent court case striking down the agricultural exemption for reporting under the Comprehensive Environmental Response, Compensation, and Liability Act (CERCLA) means that many producers will have to start reporting complicated emissions information in May of this year. Currently, a federal Senate bill is being considered that will make the exemption legal, but congress must act swiftly. In the event that action by congress fails or is delayed, producers should be aware of the rules and how they will impact their operations. Extension agricultural lawyer Paul Goeringer has a pair of short podcast episodes available that explain the rule. Click below to listen! Posted in Beef Cattle, Dairy, Policy, Poultry. The big questions left on the table back in February when the Bipartisan Budget Act was passed have been answered. The information below in the original post is still correct, but I wanted to fill in the gaps here. Re-enrollment for 2018 CAT-level and buy-up coverage began on April 9th 2018 and ends on June 1st 2018. All outstanding balances for 2017 and prior years must be paid in full before a dairy operation can be approved for 2018 coverage. Coverage elections made for 2018 under the re-enrollment will be effective retroactive to January 1st 2018 for eligible dairy operations. All dairy operations that want to participate in MPP in 2018 must sign up during the re-enrollment period. During the 2018 re-enrollment period only, producers in dairy operations with an active policy under LGM-Dairy who have target marketings insured during months in 2018, will be allowed to register for 2018 coverage under MPP-Dairy while still meting the contractual requirements for the LGM-Dairy contract. 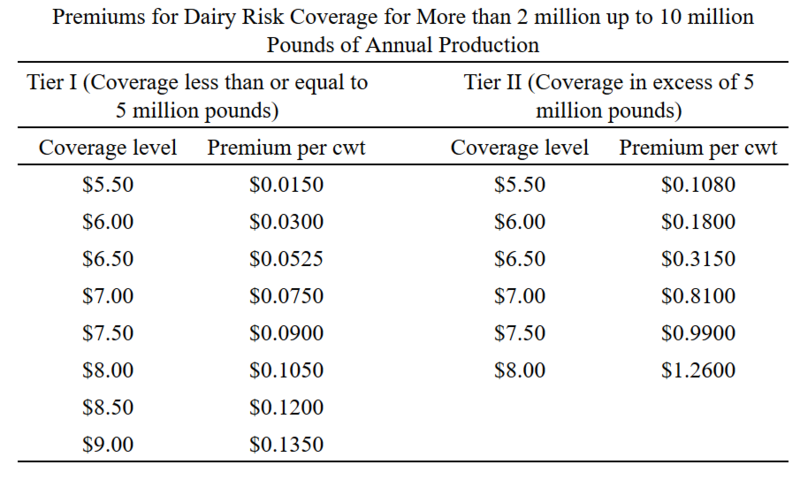 Producers may participate in either LGM-Dairy or MPP-Dairy, but not both. Example: A producer purchases LGM-Dairy in November 2017 with target marketings through April 2018. 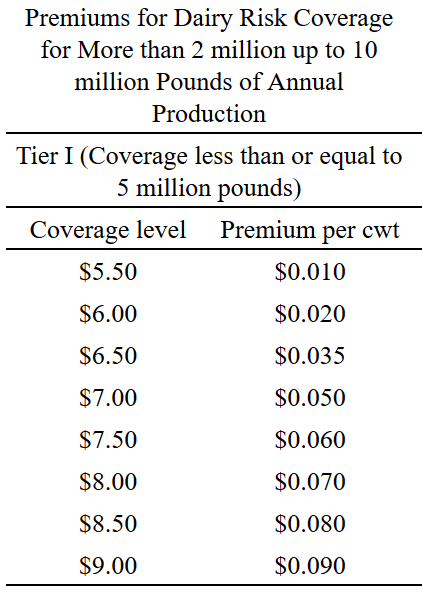 Coverage under LGM-Dairy will conclude at the end of April 2018, and coverage under MPP-Dairy may begin May 2018. 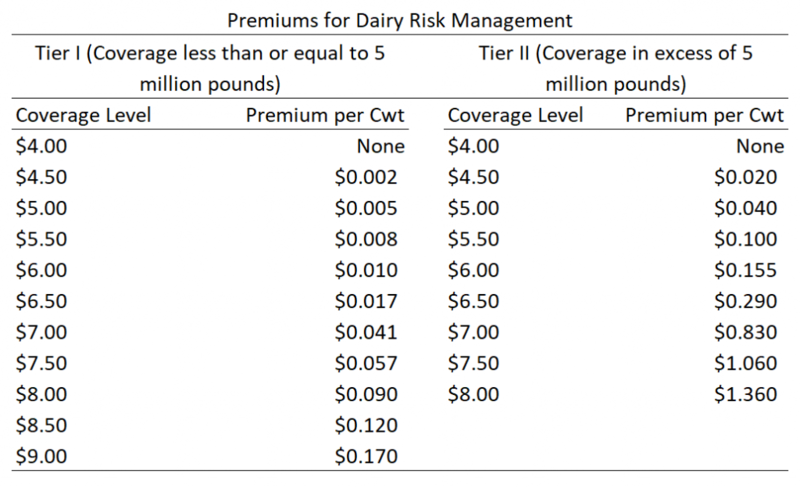 Premiums for 2018 will be prorated based on when LGM-Dairy coverage ends and MPP-Dairy coverage begins for 2018. 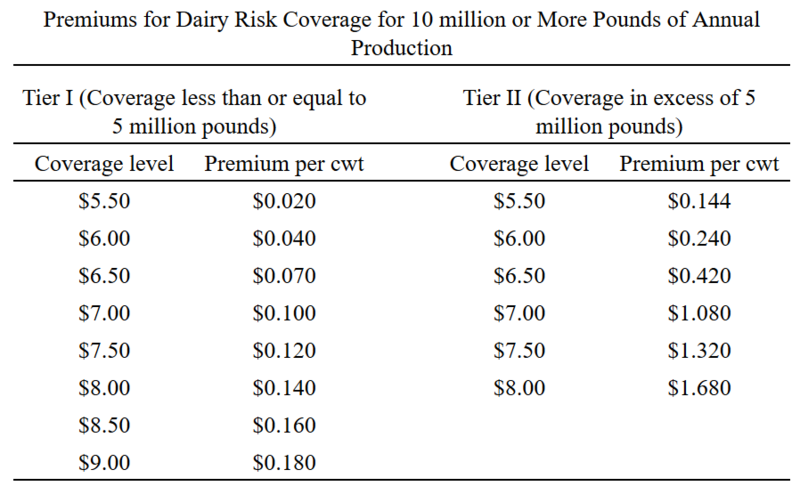 Dairy economists at DairyMarkets.org have a longer fact sheet with several examples of coverage benefits calculated based on projections done in February 2018. The MPP decision tool on their site has also been updated with the latest policy information, so you can calculated projected indemnities for 2018. For more information about the changes and enrollment, contact your local county agent or FSA office. -Dairy-MPP now operates on a monthly basis. Feed costs, milk prices, the margin, and payments are all calculated or paid monthly. There are no additional changes to any of the formulas to compute these costs, prices, margins, and payments.